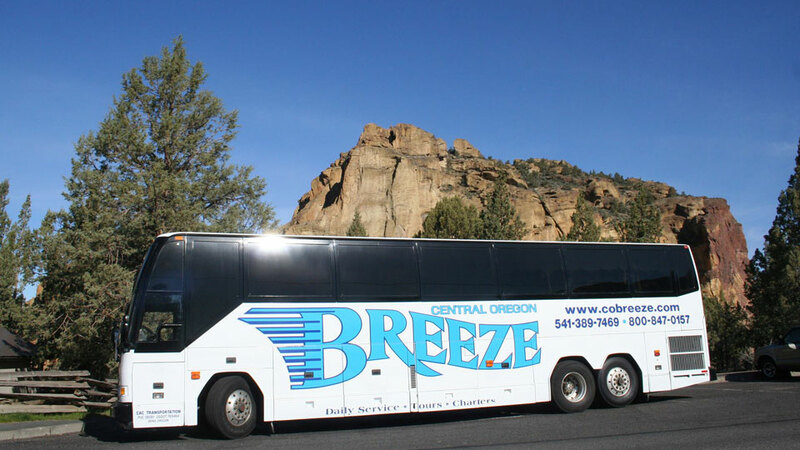 Owned and run by a local family for over thirty years, the Central Oregon Breeze has been taking people around Central Oregon and over the Cascades since the 1970s, beginning operation as the Central Oregon Breeze in the early 1990s. They travel between Bend and the Portland area and back 362 days a year, including stops at the Portland Airport, the Portland Amtrak station and a number of Central Oregon cities. They also offer charter bus services. Their first bus of the day leaves Bend in the morning and returns from Portland in the afternoon. Their second bus leaves Bend later in the morning and returns in the evening. They have additional bus routes running during the holidays to accommodate additional demand. All tickets are one-way and prices begin at $15. Tickets may be purchases online, through their office or purchased on the bus at departure upon availability. Tickets for minors traveling alone must be purchased through their office and also have a signed release form provided. They offer a number of ‘flag stops’, stops that are on the schedule but at which the bus will only stop to pick up or drop off riders with reservations made at least 24 hours in advance.